Referred to widely as an astute real estate investor and trusted advisor to the top 1%, Udo Okonjo has had extensive experience negotiating and advising on multi-million dollar real estate transactions on behalf of clients, including Multinationals, Listed Corporates, Privately Held companies and High Net-worth Clientele. Udo is very passionate about real estate as a means of wealth creation and nation building and is convener of the annual Refined Investor Series to provide an accurate roadmap and insight on the Nigerian real estate market. 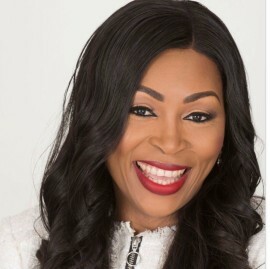 Under her leadership, the West African office of Fine and Country a global network of real estate professionals and entrepreneurs has leaped to the top in the provision of cutting edge Real Estate services to leading real estate developers and institutional clients, with multiple local and international awards received over the years. She is an alumni of the Said Business School, Oxford Real Estate Programme, the Oxford University High Performance Leadership Programme and the Judge Business School, Cambridge University where she recently completed an executive management certificate focused on Complex Negotiations, Ethics, Strategic Marketing and Branding over the course of 2 years. Udo was admitted to the Nigerian Bar Association and New York Bar in 1991 and 1994 respectively and pursued a successful legal career for more than a decade, in addition to having acted as Senior Special Adviser on Legal and Constitutional Matters to the President of the Senate of the Federal Republic of Nigeria and being Partner at a leading local law firm, Templars Barristers & Solicitors. Having emerged best graduating female student at the Nigerian Law School, in 1991, she was awarded the prestigious British Chevening Scholarship to study at the University of London, Kings College School of Law, where she graduated with a Masters degree in Law (LLM) specializing in Corporate and Commercial Law. She also earned a certificate in Effective Real Estate Marketing from the National University of Singapore in conjunction with the Dubai Real Estate Institute amongst several real estate and executive courses at the Lagos Business School, Pan Atlantic University. Udo Maryanne Okonjo, a distinguished Chevening Scholar and member of the Oxford Real Estate Society is currently the Chief Executive Officer/Vice Chairman of Fine and Country West Africa. Her passion includes mentoring next generation champions to excel at all professional and entrepreneurial levels.